Wm. Paul Young had me for 178 pages. Through 178 pages the author of this New York Times bestseller offered a creative approach to teaching readers about all kinds of elements of Christian faith. In the paperback version of this “catechism-as-dramatic-novel/fantasy,” the first 178 pages are a painless way to be forced to think about our — yours and mine — relationship with God. 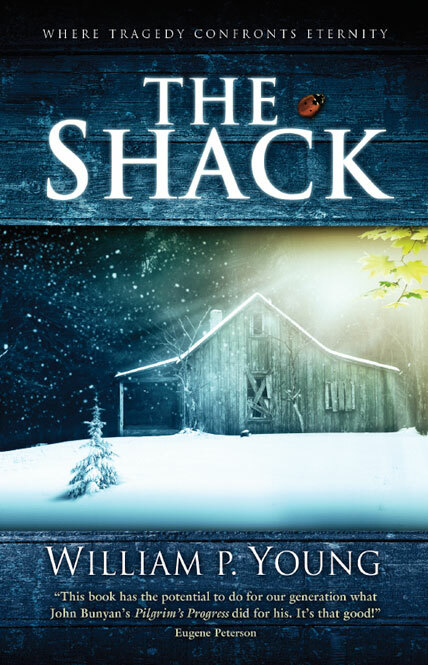 Through a hurting father’s meeting with the triune God, the first 178 pages of “The Shack” present convincing explanations about the concept of free will, unconditional love, good and evil, human frailties, the Trinity and more. For 178 pages Young, the child of missionary parents, makes us reflect about our image and understanding of God, reinforcing the idea that God is always with us, always loves us, even as we stumble and fall. Religion one of ‘trinity of terrors’? That’s where Young’s Jesus starts a diatribe against organized religion, using the kind of language Catholics used to see only in the hate pamphlets that carried drawings of the pope as the devil — horns and tail included. The character of Jesus who inhabits Young’s fanciful “shack” says he’s “not too big on religion,” and lumps religion in with politics and economics in a way most Christians would describe as, well, unchristian. So, none of what humanity — created in the image and likeness of God — has developed through the centuries does any good? It’s “well-intentioned” but evil? Hard to believe. And, if you’re like me, those last couple of sentences in the quote above sound similar to the Catholic Church’s advice that its members are to be counter cultural, in the world but not of it, part of society but not caught up in its less noble pursuits. But you don’t hear Young’s Jesus acknowledging that. Perhaps the attack on organized religion wouldn’t come off as so hypocritical if it hadn’t come after a whole chapter in which Mackenzie — the book’s main character — goes through an agonizing trial that teaches him not to be judgmental. Far be it for any Catholic to ignore the failings of our church — its members and its leaders — throughout history and even to the present day. But any author does readers an enormous disservice by ignoring the positive motives, positive actions and positive results that organized religions have brought to the world throughout history and continue to bring today. Our churches — of many denominations — deserve credit for upholding moral standards that easily go by the wayside in a laissez-faire society. The Catholic Church in particular has earned the admiration of many for creating the concept of higher education. People — organized through their church affiliations — feed the hungry, care for the sick, shelter the homeless — in a better way when they do so in organized ways. The list could go on. Sadly, Wm. Paul Young has chosen to ignore the good and instead judge others in a way he tells his readers not to.